It’s no secret that collaboration is incredibly important in business. But, why? And how do you become an effective collaborator? To answer these two fundamental questions, we asked Naomi Timperley – an expert in collaboration. 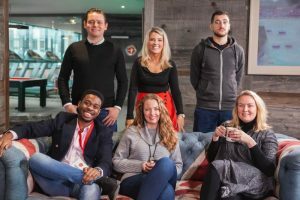 An experienced partnerships and engagement consultant, Naomi has extensive experience working with startups and growth businesses particularly in the tech, digital and creative sectors. She has successfully helped hundreds of individuals and businesses to develop by expanding their network of meaningful connections and facilitating effective collaboration. 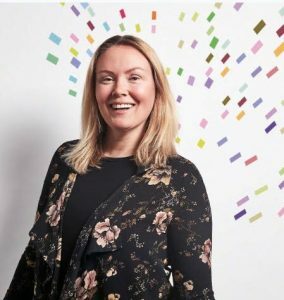 Naomi was also named one of Computer Weekly’s 50 most influential women in UK IT of 2018. Without further ado, here’s some expert insight from Naomi on accelerating businesses through collaboration. Where do those who have never collaborated start their journey? “Collaboration leads to many new opportunities which let you achieve your goals quicker and help your business grow. People often forget to think about how they can work together with different people and organisations to achieve their goals, and that’s what collaboration is all about. “It’s also about bringing industries and organisations together. It’s crucial for organisations to work together within all the different types of industries. Working with people in different sectors from different backgrounds broadens your perspective, your reach and your ideas which drives your business forward. You also develop brand new skills which allow your business to be more agile and future-proof. Can collaboration between UK businesses be improved? “I’ve been a mentor for nearly 10 years now and worked with more than 250 individuals and businesses. One thing I’ve found is that building partnerships and collaborating is a quick win for everybody if done properly. As a country we could definitely collaborate better. We need to be much more joined up and open-minded. Don’t be afraid: One thing I often see from new startup businesses is they’re so terrified to talk about their own business. They don’t have open conversations and so miss out on valuable connections and the chance to create lasting partnerships. I understand this is always going to be applicable, especially if intellectual property is involved, but ultimately there’s still so many people scared to share their ideas and we need to get over that fear. Take advantage of natural partnerships: I think some people don’t see the obvious connections that they are able to make if they just think about it for a second. I always encourage people to get involved with their local communities, schools, colleges and universities to start with. Then take a look at your target market: Who is targeting the same demographic? Are people in different industries targeting the same audience? See if you can build partnerships that help everyone involved to reach their goals. Be more open to having conversations and asking for help: As a culture, Britain isn’t very good at this. This needs to change for us to be more collaborative. Look at your network and ask people if they can help or put you in touch with someone who can. There are always people out there willing to help you. Get a mentor: The impact of mentoring is something I talk about a lot because I have seen it make a difference to so many people, as well as myself. Mentoring is especially good for teaching people how to build good connections and how to collaborate, both internally and externally. Well, that’s all from Naomi Timperley for now. However, if you want to hear more from her and other collaboration experts then check out the latest UKFast webinar. How can collaboration accelerate your business? Watch the on-demand webinar now for FREE.